A betting bonus is a big factor when choosing the right online eSports bookmaker. As a matter of fact, the same is true for regular sports books as well. People are always on the lookout for the best deals out there, and it's no surprise. Why would you go to an eSports bookmaker that offers no bonus when you can go to their competitors that have plenty of them available. It's basically free money… Free money to bet with. With that being said, I believe that it's pretty clear what this article is going to about. So without much further adue, I am going to lead you straight to the best bonuses out there. As you could notice from the title, our destination is the eSports betting site bet365. The Bet365 bonus for eSports is probably the one that will interest you the most. With that in mind, let's jump straight into the business! How does the Bet365 bonus work for betting on eSports? Now let's talk more about the Bet365 eSports Bonus. It's a fairly generous one, that's for sure! It allows newly registered players a 100% first deposit bonus. The maximum amount goes up to 100 € which is, I'm sure you will agree with me on this, quite a lot of money. 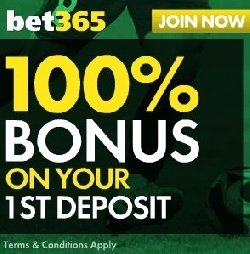 In other words, this means that if you make a 100€ as your first deposit, Bet365 will greet you with an additional 100€. There's also a minimum bonus on first deposit amount and that's 10€. That means if you deposit 5€, you will not be eligible to receive the 100% first deposit bonus. Now in order to get this bonus, here is what you need to do. First, you register a new account on the Bet365 main website. After that, you need to make a deposit ranging from 10€ to 100€. When you can see that money in your account on Bet365, then it means you're up for the second step. The second step represents you going into your email's inbox (check spam too if there is nothing in your inbox) and reading the welcome message from Bet365. There, you will have your 1st deposit bonus code available. Copy it over and then go straight to Bet365's website. Once you get there, go to Services -> Offers and you will paste your code there. Please keep in mind that you have a total of 7 days to enter this bonus code otherwise it's gone to waste! Of course, there's a catch in all of this. You cannot simply register, deposit for the bonus and then withdraw all of your money. That's not how it works! In order to withdraw your money, you will have to use it for bets. And not just any bets, you have to bet on odds that are either 1,50 or higher than the worth of your initial deposit. Also, for the maximum amount of first deposit bonus (100€), you will need to turn over your entire sum of money three times before being able to withdraw it. This means you will need to turnover a minimum of 600€ if you want to get some money in your bank account. This might seem like a bad deal but trust me, it's still achievable. On the bright side, you have all the time in the world in order to do so. 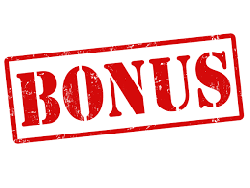 There is no time limit on this bonus which means you can take as much time as you want to turn over those 600€. This is not the case with some other bookmakers who most frequently give you approximately 30 or 50 days to turn over your bonus money. In addition to the first deposit bonus, Bet365 offers another one that is aimed towards people who use their smartphones and tablets to bet on eSports. Now even though this particular bonus is not available all times, I still decided it worth mentioning. It's much simpler than the one above. 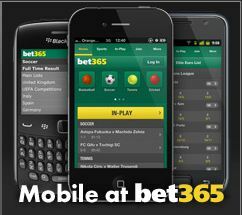 If you want to check out to see if it's available, simply download the Bet365 app from the App Store on Google Play. Once you have downloaded it, log in and you will be greeted with a 100% bonus on your first bet from your mobile device. It's as simple as that! Make sure you try it out. Who knows, perhaps you will get that extra money when you win the bet… If you win that bet. That's it for today guys! I hope this article was informative and easy to read. Ultimately, I hope it helped you get some extra m0ney off of eSports betting sites!